The only limit. . .
North Valley Forge has been creating unique wrought iron designs for our customers nationwide for over 30 years. 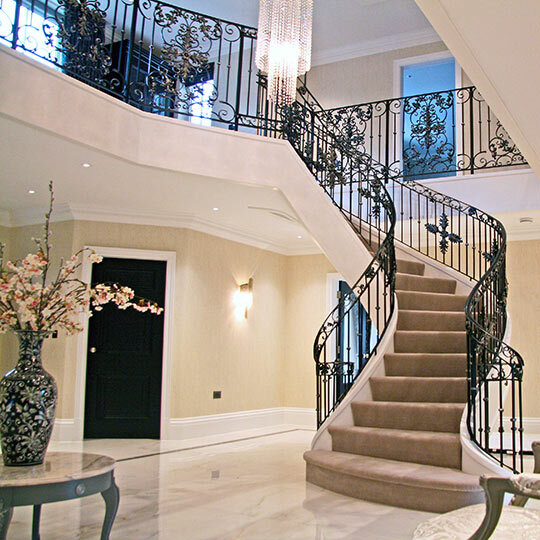 In both design and quality, we are the leaders in our industry. 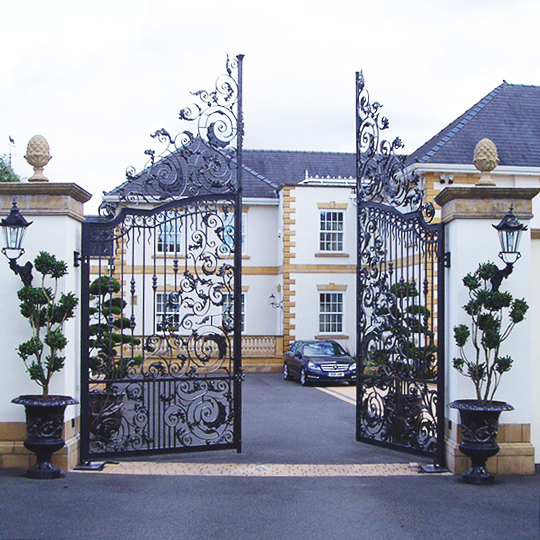 Our spectacular Ultimate range of Railings, Driveway Gates and Estate Gates are crafted in-house using age-old blacksmithing techniques passed down over generations, combined with excellent modern engineering by our versatile ironworkers. Alongside our Iron Gates and Railings, we also manufacture stylish Wooden Gates to offer sophisticated privacy to any driveway. 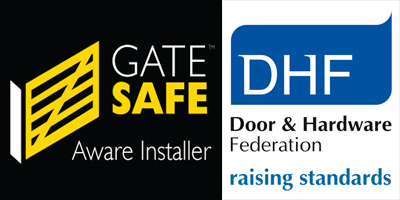 Our gates are all made to measure meaning you can choose the style, design and measurements of your gate to enhance the appearance and security of your home. 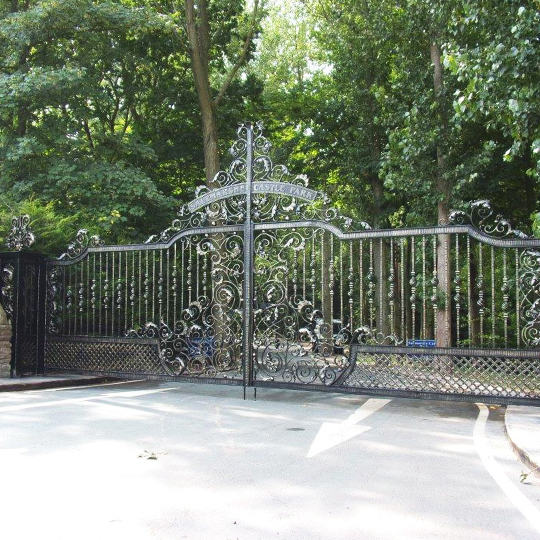 At North Valley Forge we create all of our quality wrought iron gates right here in our 25,000 sq. foot factory in Lancashire, alongside our Wrought-Iron & Gate Automation Showroom – which is the largest in Europe! There isn’t a lot we can’t make for you, so if you’re looking for something that little bit different then give us a call on 01282 677300 and we can discuss your requirements. Why not come along to our showroom in Lancashire to learn more and get some inspiration from our working displays. If you come to visit us, we will gladly show you around our factory where the magic happens. We’re very proud of what we do here and you can see the quality of our work first hand throughout every stage of the process.